May is the 5th month of the year, coming between April and June. It has 31 days. The month of May might have been named for the Roman goddess Maia, or more likely the Roman goddess of fertility Bona Dea, whose festival was held in May. May never begins or ends on the same day of the week as any other month. May's flower is the Lily of the Valley. Its birthstone is the emerald. The meaning of the emerald is success in love. Flowers and Trees in full bloom in the Northern Hemisphere, where May is in late Spring. May comes between April and June and is the fifth month of the year in the Gregorian calendar. It is one of seven months to have 31 days. In the older Roman calendar, May was the third month of the year. It is a spring month in the Northern Hemisphere and an autumn month in the Southern Hemisphere. In each hemisphere, it is the seasonal equivalent of November in the other. May is likely to have been named after the Roman goddess Maia, though there is a theory that May might have its name from the Latin "Maiores", meaning "Seniors". The same theory suggests that June would then be named from "Iuniores", meaning "Juniors". No other month in any year, common or leap year, begins nor ends on the same day of the week as May. In common years, May starts on the same day of the week as August of the previous year, and in leap years, March and November of the previous year. In common years, May finishes on the same day of the week as August and November of the previous year, and in leap years, March and June of the previous year. In leap years and years immediately after that, May starts on the same day of the week as February of the previous year. Every year, May both starts and finishes on the same day of the week as January of the following year. In years immediately before common years, May starts on the same day of the week as October of the following year, and in years immediately before leap years, April and July of the following year. In years immediately before common years, May finishes on the same day of the week as February and October of the following year, and in years immediately before leap years, July of the following year. In the Northern Hemisphere, May is in late Spring, and May Day on May 1 and Walpurgis Night, during the night of April 30 to May 1, are symbolic of the transition from winter to summer. In the Southern Hemisphere, it is in autumn, and comes just before the Antarctic winter, when emperor penguins breed there. Special devotions to the Virgin Mary take place in May. A May Tree symbolic of May 1, May Day, in Germany. Victory Day celebration in Moscow on May 9. Celebration of Constitution Day in Norway on May 17. May 1 - May Day in many countries. In the United States, Canada and Australia, Mother's Day is the second Sunday in May. In the United States, Memorial Day, a public holiday, is on May 30, but is observed on the last Monday in May. ↑ "CATHOLIC ENCYCLOPEDIA: Devotion to the Blessed Virgin Mary". www.newadvent.org. Newspaper celebrating Victory in Europe Day on May 8, 1945. Painting showing agreement of Norway's Constitution on May 17, 1814. Mount Saint Helens erupting on May 18, 1980. A member of the public posing on the opening day of the Golden Gate Bridge in San Francisco on May 27, 1937. Edmund Hillary and Tenzing Norgay on their way to climbing Mount Everest on May 29, 1953. May 1, 1931 - The Empire State Building in New York City is officially opened. May 1, 2004 - Ten countries join the European Union. May 2, 1611 - The King James Bible is published. May 2, 1945 - Troops of the Soviet Union capture Berlin in the end-phase of World War II. May 2, 1997 - Tony Blair becomes Prime Minister of the United Kingdom. May 3, 1791 - Poland's first Constitution is introduced. May 3, 1947 - Japan's first post-World War II Constitution enters effect. May 3, 2008 - Cyclone Nargis kills tens of thousands of people in Burma. May 4, 1493 - Pope Alexander VI divides the "New World" between Spain and Portugal. May 4, 1979 - Margaret Thatcher becomes Prime Minister of the United Kingdom. May 4, 1990 - Latvia declares independence from the Soviet Union. May 5, 1821 - Napoleon Bonaparte dies on the remote South Atlantic island of Saint Helena. May 5, 1945 - World War II: Denmark and the Netherlands are liberated. May 6, 1910 - George V of the United Kingdom becomes King. May 6, 1937 - The airship LZ 129 Hindenburg catches fire on landing in New Jersey, killing 36 people. May 7, 1915 - A German U-boat sinks the RMS Lusitania, killing 1,198 people. May 8, 1902 - Mount Pelee on Martinique erupts, killing 30,000 people. May 8, 1945 - World War II: Final surrender by Germany, ending the war in Europe. May 9, 1901 - The first Australian parliament meets in Melbourne. It is later moved to Canberra on this day in 1927. May 9, 1945 - World War II: The Channel Islands are liberated. May 10, 1877 - Romania declares independence from Turkey. May 10, 1940 - Winston Churchill becomes Prime Minister of the United Kingdom on the same day that Germany invades the Netherlands, Belgium and Luxembourg. May 10, 1994 - Nelson Mandela becomes President of South Africa. May 11, 1812 - Spencer Perceval becomes the only Prime Minister of the United Kingdom to be assassinated. May 11, 1949 - Siam changes its name to Thailand. May 12, 1926 - The Italian airship Norge flies over the North Pole. May 12, 2008 - A major earthquake strikes Sichuan province, China, killing tens of thousands of people. May 13, 1830 - Ecuador gains independence. May 13, 1981 - An assassination attempt is made on Pope John Paul II in Vatican City. May 14, 1811 - Paraguay gains independence. May 14, 1948 - The State of Israel is founded. May 15, 1701 - The War of the Spanish Succession begins. May 16, 1929 - The first Academy Awards are given out. May 16, 1975 - Sikkim unites with India. May 16, 2009 - Alexander Rybak of Norway wins the Eurovision Song Contest with a record points total. May 17, 1814 - Norway's Constitution is agreed on. 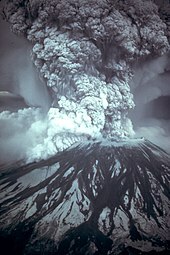 May 18, 1980 - Mount Saint Helens erupts in Washington State, killing 57 people, and changing the surrounding landscape completely. May 18, 1991 - Somaliland declares independence, though this is not recognized internationally. May 19, 1536 - Anne Boleyn, second wife of Henry VIII of England, is executed. May 19, 1991 - Voters in Croatia choose to become independent from Yugoslavia. May 20, 1883 - Krakatoa starts a series of eruptions that would end violently in August. May 20, 1902 - Cuba becomes independent from the United States. May 20, 2002 - East Timor becomes independent from Indonesia. May 21, 1927 - Charles Lindbergh flies across the Atlantic Ocean, landing in Paris. May 21, 1932 - Amelia Earhart becomes the first woman to fly across the Atlantic Ocean. May 21, 1991 - Former Prime Minister of India is assassinated. May 21, 2006 - Voters in Montenegro choose, by a majority, to separate from Serbia and become independent. May 22, 1972 - Ceylon changes its name to Sri Lanka and becomes a Republic. May 22, 1980 - The Pac-man game is released. May 22, 1990 - Yemen unites. May 23, 1568 - The Netherlands declare independence from Spain. May 23, 1949 - The Federal Republic of Germany is founded. May 24, 1832 - The first Kingdom of Greece is declared. May 24, 1956 - The first Eurovision Song Contest takes place in Lugano, Switzerland. May 24, 1993 - Eritrea becomes independent from Ethiopia. May 25, 1810 - Argentine War of Independence starts. May 25, 1963 - The African Union is founded. May 26, 1918 - Georgia declares independence from Russia. May 26, 1966 - Guyana becomes independent from the United Kingdom. May 27, 1937 - The Golden Gate Bridge in San Francisco opens to people crossing it on foot, opening to vehicle traffic the next day. May 28, 1918 - Armenia and Azerbaijan both declare independence on the same day as each other. May 28, 2008 - Nepal becomes a Republic. May 29, 1660 - Charles II of England, Scotland and Ireland becomes King, restoring the monarchy there. May 29, 1953 - Edmund Hillary and Tenzing Norgay become the first people known to have reached the top of Mount Everest, from the Nepalese side. May 31, 1910 - The Union of South Africa is formed. May 31, 1911 - The RMS Titanic is launched in Belfast. May 31, 1970 - A major earthquake strikes Peru, causing several avalanches, the deadliest of which buries the town of Yungay. The Rosa chinensis is a flower symbolizing May. The floral symbol of May is the Rosa chinensis. May is the only month that never begins (June is the other) nor ends (September is the other) on the same day of the week as any other months within any calendar year. Along with March, May is one of two months in the English language that start with 'M' and have an 'A' as their second letter. They surround the month of April. In the English language, May has the shortest name of all the months of the year. The astrological signs for May are Taurus (April 21 to May 20) and Gemini (May 21 to June 20). May is the second of three months in a row, in the English language, that can also be a female given name, along with April and June. May 1 is the only day in May to be entirely within the first third of the calendar year. "May" backwards is "Yam", the name of a fruit. Two 20th century US Presidents were born in May - Harry S. Truman (May 8) and John F. Kennedy (May 29). No President of the United States, to-date, has died in May, though James Buchanan narrowly avoided doing so, dying on the morning of June 1, 1868. This page was last changed on 26 April 2019, at 03:41.